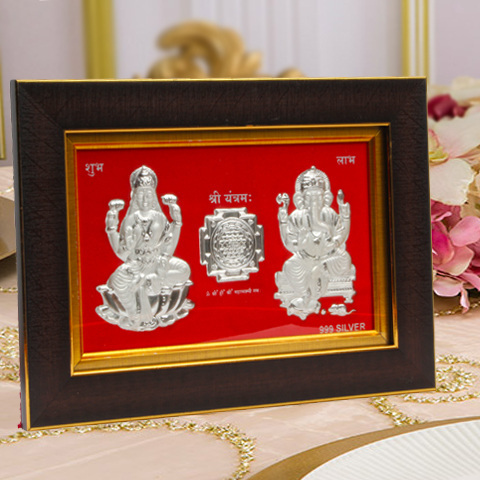 A beautiful Silver Plated Laxmi Ganesh with Yantra Single Photo frame. Ganesh is a supreme God and his blessings are really important to perform better in life. Do not just limit him in temple, but get this beautiful Ganesh Lakshmi with Yantra Frame for your living room and make your home full of blessings. 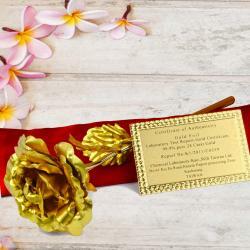 Suitable for all kinds of occasions and for Diwali pooja and also for gifting purpose it can also be used as wall decor showpiece. 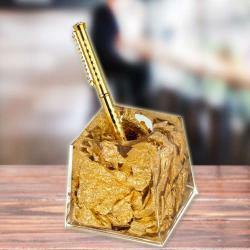 It is very Decorative and Creative. Design enriches the beauty of the product. 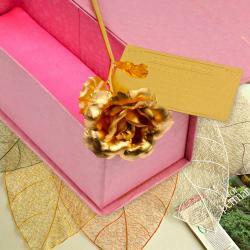 An Ideal Gift You can also gift this to your friends and loved ones during the festive seasons. Product Includes : Wall Hanging Frame of Silver Plated Laxmi Ganesh with Yantra.